Nonprofit advocacy groups and state attorneys general plan to fight today’s decision by the Federal Communications Commission (FCC) to roll back Net Neutrality rules enacted during the Obama Administration. The 3-2 vote by FCC commissioners came this afternoon along party lines, with Mignon Clyburn and Jessica Rosenworcel dissenting and Michael O’Rielly, Brendan Carr and Chairman Ajit Pai voting in favor. Title II Framework (Docket No. 17-108), commonly referred to as Net Neutrality, is the principle that prohibits favoritism when it comes to Internet access. Those in favor of keeping Net Neutrality fear that without it, Internet Service Providers (ISPs) will create slow and fast lanes on the Internet based on pricing while supporters claim that repeal will increase transparency, protect consumers and spur investment. 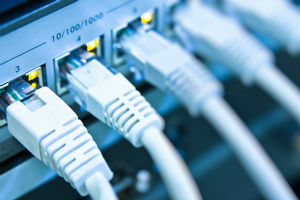 “Following detailed legal and economic analysis, as well as extensive examination of comments from consumers and stakeholders, the Commission reversed the FCC’s 2015 heavy-handed utility-style regulation of broadband Internet access service, which imposed substantial costs on the entire Internet ecosystem,” according to a press release from the FCC. The ruling restores broadband consumer protection authority to the Federal Trade Commission (FTC). New York Attorney General Eric Schneiderman will lead a multi-state legal challenge to the repeal. Free Press Action Fund and Electronic Frontier Foundation (EFF), among others also have announced plans to file legal challenges. In a statement, Schneiderman said he was rebuffed in his requests for the FCC to help his seven-month investigation into fake comments submitted during the process and also asked that the vote be delayed. Nearly 24 million comments about Net Neutrality were filed with the FCC, the most ever received by the agency. But two million of those featured stolen identities, half a million originated from Russian email addresses, and 50,000 consumer complaints are missing from the record, according to Rosenworcel. While 19 state attorneys general demanded a halt to the vote until that’s investigated, she said the agency has turned a blind eye. Free Press Action Fund and its allies launched an internet-wide campaign to demand that Congress use a resolution of disapproval under the Congressional Review Act to overturn the FCC’s order. “Net Neutrality is the nondiscrimination law of the Internet. It’ll be just as necessary tomorrow as it is today,” said Free Press Policy Director Matt Wood. Commissioners who voted in favor of repeal “twisted the history of the Communications Act of 1934 to arrive at their prejudiced conclusions,” he added. “They prattle on about the 2015 order’s alleged departure from precedent but it’s a smoke screen,” Wood said. “It’s the agency’s job to work toward the goal of universally affordable and open-internet service but Pai and his enablers quit their job and abandoned their posts — while pre-empting states’ power to even try to fill in the gaps,” Wood said. He also took at aim at the process, riddled with “procedural missteps, from the agency’s failure to provide proper explanation and notice of its legal theories, or proper recognition for the complaints it received under the 2015 rules, to its widely publicized failure to accept real public input and clean up fraud in its systems for doing so,” Wood said. In a panel discussion earlier this week, Carr described the “two-year experiment” of Net Neutrality as a failure. “We’ve seen investment in broadband decline. We’ve seen ISPs pull back on deployments, innovative new services kept on the shelf. All of this has harmed consumers,” he claimed. Carr said Title II “is not the thin line between where we are and what’s taking place. It expressly said ISPs can block, throttle, under Title II, provided they disclose their conduct to consumers. The NAACP was among the organizations that also condemned the vote. “The NAACP has continually opposed discrimination and fought for justice and equal opportunity for all. We see the fight for net neutrality as an extension of that mission,” said NAACP President and CEO Derrick Johnson. “Like the tax plan on which Congress is currently deliberating, the FCC’s new stance will benefit large corporations at the expense of average American citizens,” he added in a statement released this afternoon. “If we allow money and profit margins to dictate how people are able to gather and disseminate information on the Internet, those lacking the means to afford high speed services will be left in the dust,” he said. “As a result of today’s misguided action, our broadband providers will get extraordinary new power. They will have the power to block websites, throttle services, and censor online content. They will have the right to discriminate and favor the internet traffic of two of those companies with whom they have pay-for-play arrangements and the right to consign all others to a slow and bumpy road,” Rosenworcel said via a statement after the vote. “They have the technical ability and business incentive to discriminate and manipulate your internet traffic,” she said.